Posted by Arun Rajagopal in Conversations, Healthy Living, India, Marketing. Last Sunday, my wife, kid, and I had to travel to Andheri from Bandra. When I waved at a passing auto rickshaw, little did I expect that this ride would be any different. As we set off, my eyes fell on a few magazines (kept in an aircraft style pouch) behind the driver’s backrest. I looked in front and there was a small TV. 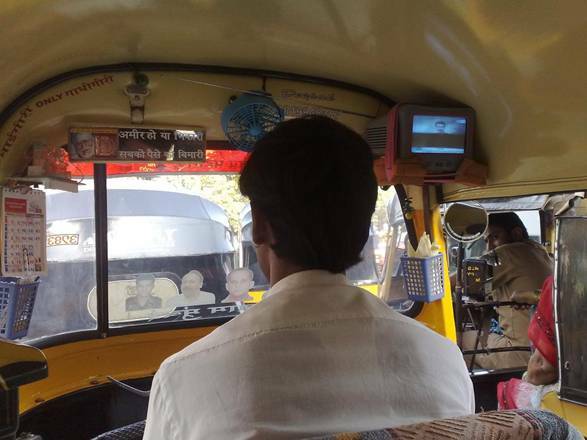 The driver had put on the Doordarshan channel. My wife and I looked at each other with disbelief and amusement. In front of me was a small first-aid box with cotton, Dettol and some medicines. This was enough for me to realize that I was in a special vehicle. Then I looked round again, and discovered more – there was a radio, fire extinguisher, wall clock, calendar, and pictures and symbols of all faiths – from Islam and Christianity to Buddhism, Hinduism and Sikhism. There were also pictures of the heroes of 26/11- Kamte, Salaskar, Karkare and Unnikrishnan. I realized that not only my vehicle, but also my driver was special. I started chatting with him and the initial sense of ridicule and disbelief gradually diminished. 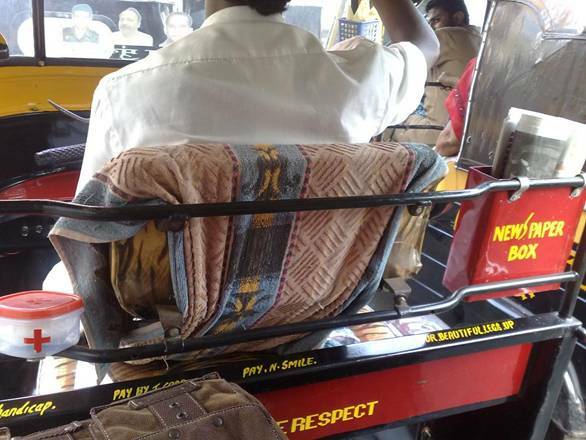 I gathered that he had been driving an auto rickshaw for the past 8-9 years; he had lost his job when his employer’s plastic company was shut down. We realized that we had come across a man who represents Mumbai – the spirit of work, the spirit of travel and the spirit of excelling in life. I asked him whether he did anything else as I figured that he did not have too much spare time. My wife and I were struck with awe. The man was a HERO! A hero who deserves all our respect!!! Our journey came to an end; 45 minutes of a lesson in humility, selflessness, and of a hero worshipping Mumbai, my temporary home. We disembarked, and all I could do was to pay him a tip that would hardly cover a free ride for a blind man. 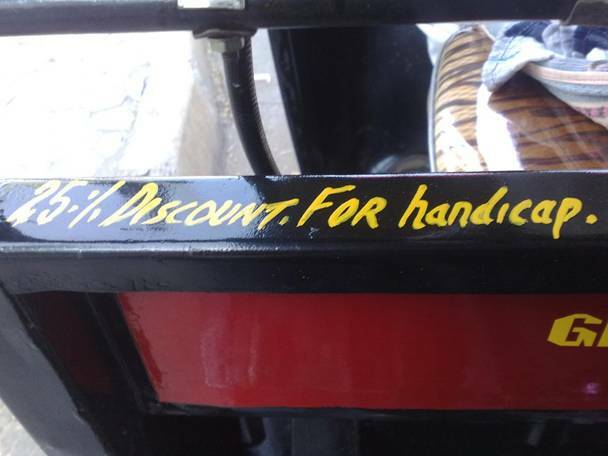 I hope, one day, you too have a chance to meet Mr. Sandeep Bachhe in his auto rickshaw: MH-02-Z-8508. What this experience tells me is that: even the most mundane, uninspiring jobs on Earth can be made a fulfilling experience with one ingredient. PASSION. Passion brings with it the unique ability to make a difference in your own little ways. Ultimately, the secret is not to believe that you are driving a simple, humble rickshaw, but to believe that you are driving the world ahead in your own special way.